Primate Conservation, Inc. (PCI), is an all-volunteer, nonprofit 501(c)(3) private foundation dedicated to studying, preserving, and maintaining the habitats of the least-known and most endangered primates in the world. Over 200 species and subspecies are listed by IUCN as endangered or critically endangered. The tropical forests where most primates live are disappearing at an alarming rate, and poaching is a major problem for most of these species. Jane Goodall and many others who have done field studies of primates in their natural habitat have shown that dedicated individuals are one of the keys to successful conservation. PCI provides grants to support the next generation of researchers and conservationists in the field. These grantees research the needs of species and focus the attention of local people and the world on those needs. In some cases these researchers are the endangered primate's only defense against hunters and loggers. Primate Conservation Inc.'s director, Noel Rowe, founded the organization in 1992 after witnessing the destruction of a lowland forest reserve in Madagascar. He is author of The Pictorial Guide to the Living Primates and coeditor with Marc Myers of the All The World's Primates website and book. Since we made our first grant in 1993, we have provided full, partial, or renewal funding for more than 650 projects in 29 countries with primate habitats. Projects in Asia have received 40% of our funding, in Africa 26%, in Madagascar 20%, and in South America 15%. Grants have gone to study leaf monkeys (28%), apes (17%), lemurs (20%), cheek-pouch monkeys (12%), New World monkeys (13%), lorises and galagos (6%), and tarsiers (4%). Without PCI's help, many of these projects might never have been accomplished. PCI has supported projects on 21 of the top 25 most endangered primates, including the Tonkin snub-nosed monkey in Vietnam, the pig-tailed langur in the Mentawai Islands (Indonesia), the yellow-tailed woolly monkey in Peru, the Cross River gorilla in Nigeria, the Tana River red colobus in Kenya, and the greater bamboo lemur in Madagascar. In order to save these wonderful creatures and the habitats they require to survive, many more people must be involved in conservation at all levels. We can't all go to work in the field, but we can help by writing letters to influence policy, limiting our consumption, and donating. The people PCI supports are committed to protecting primate species and their habitats. You can help PCI fund researchers doing this important conservation work in tropical forests. Without their dedication under difficult physical conditions, some of these endangered primates will be lost. 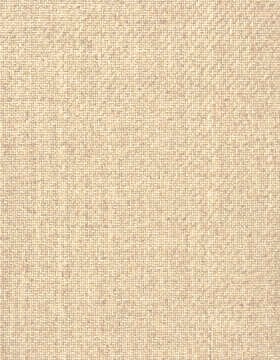 All 505 species with maps, fully referenced information about each, illustrated with over 1800 photographs and a few drawings. 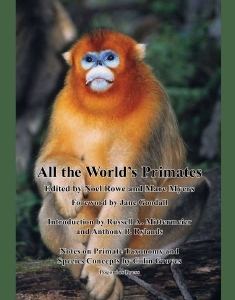 "All the World's Primates is far and away the most complete and authoritative guide to primates." You can donate to Primate Conservation, Inc., online using PayPal or a credit card at our new sister website, All The World's Primates. Please click the 'Join' tab there to donate. When you become a member of PCI and support our work of conserving primates, you will also be able to access the All The World's Primates database, the Web's most complete resource about all the species and subspecies of apes, monkeys, tarsiers, lemurs, and lorises. You can see what each of the 703 species and subspecies looks like, find where they live on interactive range maps, watch video, and listen to their vocalizations. The site includes over 3,000 photographs and more than 10,000 references. Since its inception, more than 94% of PCI's budget has gone to field projects in primate habitat countries. All contributions are tax-deductible to the full extent of the law.